The Jellicoe Express which ran between Euston and Thurso is being commemorated with a plaque. Hawick on the old Waverley Line was a station where the Express called in one direction for coal and water and now is the only location that no longer has trains. The Express was the longest rail journey in Britain which ran during both world wars transporting mail and navy personnel. Today the site of the station is occupied by the Treviotdale Leisure Centre. 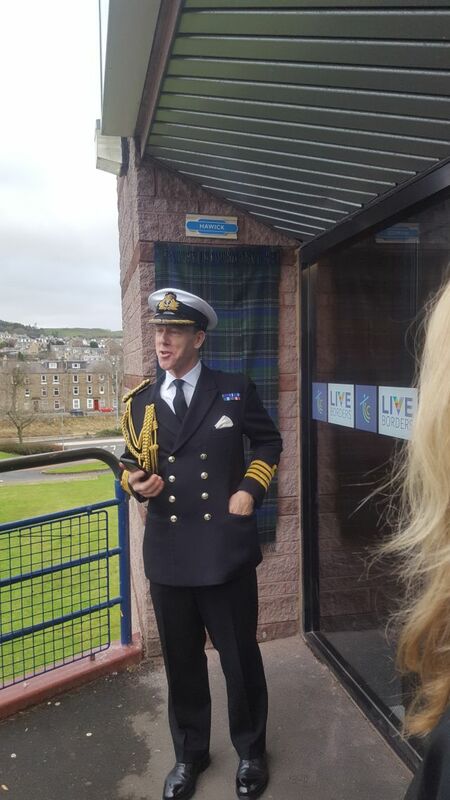 Captain Chris Smith RN unveiled the latest plaque supported by the Scottish Borders Council and the Borders Railway Community Partnership on 30th November 2018. Hawick was the only stop by the wartime Jellicoe Express whose station has not survived, and following up the Carlisle unveiling on 31 October yesterday saw the 16th such event at the Teviotdale Leisure Centre which now stands on the station site. The 50th anniversary of the last Edinburgh-Hawick-St Pancras train is on the night of the fifth of next month.